So much of what I do as a wedding planner starts with thinking about how to give a bride and groom the perfect start to a new life and a prosperous future. In the same way, as a resident and business owner here in Sonoma, it’s important to me to look for ways to support my community as we build toward our collective future as well. There are many ways that I give back to Sonoma every day, but for me, the best use of my time and my talents always starts with finding opportunities to support the children in my community by investing in their education and their character development. 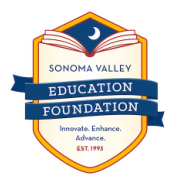 So I’m very grateful to be involved with two incredible local organizations: The Sonoma Valley Education Foundation, and, The Boys & Girls Club of Sonoma Valley. As a member of the Event Planning Committee for both of these non-profit groups, it is my goal to help raise the funds and the awareness that are necessary to keep these great organizations thriving each year. I’m so proud to be a part of this incredible community event that provides critical funding to support students and educators right here in Sonoma. The Red & White Ball is the largest fundraiser event of its kind in the wine country, and every year, this event just gets better and better. As a member of the event planning committee, my goal is to make every event I support as spectacular and as special as the children this foundation serves! This non-profit is such an important part of our community, so it’s my pleasure to donate my time, ideas and connections to support the annual Sweetheart Gala & Auction. This will be my third year as an event committee member, and every time I serve, I see how much the money we raise helps our community. This black-tie gala generates 15% of the annual budget for the Boys & Girls Club of Sonoma Valley, and the proceeds specifically support programming that changes the lives of the children and teens living in the place that I call home. To continue to support the endeavors of the Boys & Girls Club, I’m happy to be involved with the planning of the Derby in the Vineyards party. This annual event is such a fun way to rally the community together to watch the “Run for the Roses” each May, while raising funds for the children and teens that always win because of our community’s support. If you are interested in speaking with A Savvy Event about supporting your fundraiser or community event, please fill out the form below and we will be in touch with you. All requests will be considered.